If you follow along on my social media you may have seen we transformed our son's room from kid to big boy! 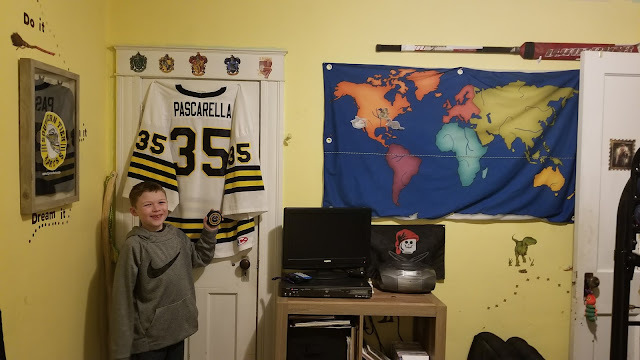 Yes, he is starting to filter out toys and add in things like "rock collections", duck calls and EVERYTHING Hockey related! He is such a strong personality that it seemed only fitting his room reflect that. We even traded out the bed for a bunk bed, allowing him to have sleep overs. When we approached the idea of giving up his "night light" let's just say the little boy was still in there. Ok, so he knows monsters under the bed are not real BUT just in case.....maybe we should keep a light on! We decided to get rid of our old one and replace it with a Sleep Buddy. 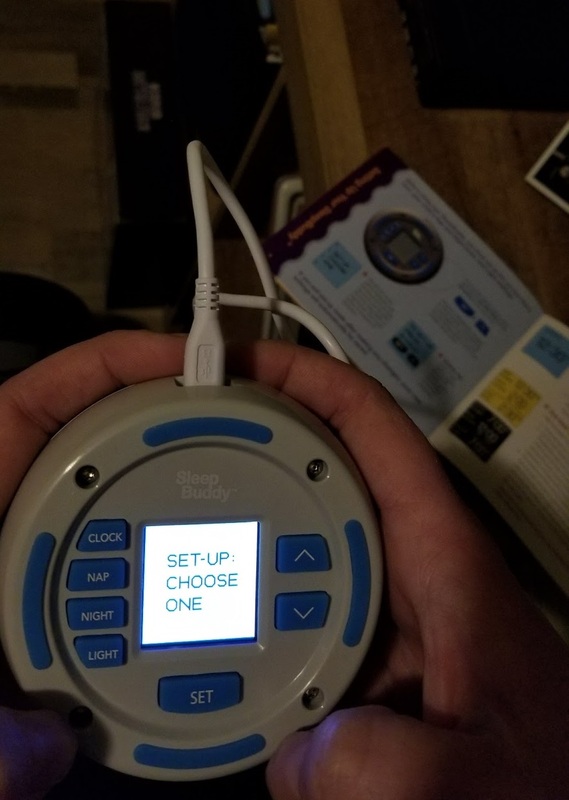 The Sleep Buddy allowed us to program it easily. It shows when are acceptable times to get up and out of bed. We have an EARLY riser. He has been this way pretty much since birth. I also know he will go back to sleep if prompted. 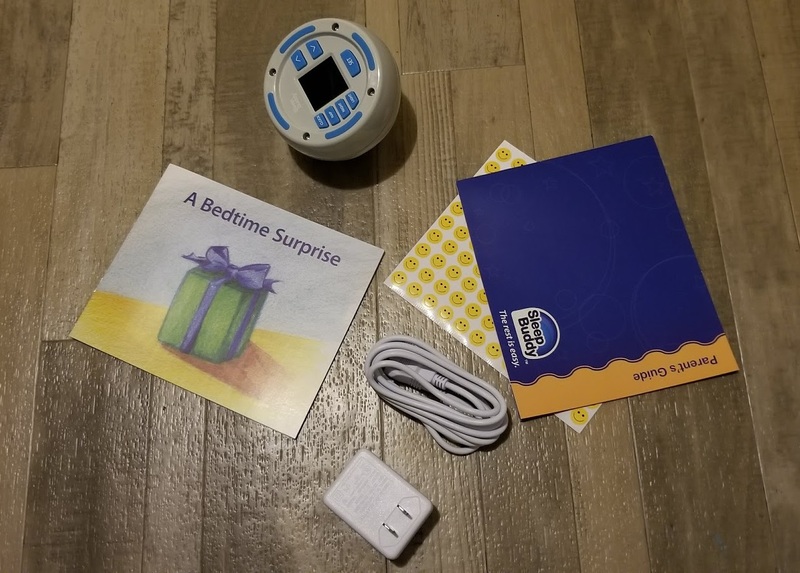 To help with this we set the Sleep Buddy to alert him in conjunction with our alarm in the morning. This way if he does get up he knows if he should go back to bed or not. Another great way of using this is to get your kids in bed at a reasonable hour! I will say I am rather lucky in that regards because my son goes right to bed (well, MOST days). I know so many parents though that struggle with getting their kids to bed at a decent hour. I have watched as they threw fits, screamed, had breakdowns and parents just give up at bedtime. The Sleep Buddy is really the perfect solution. 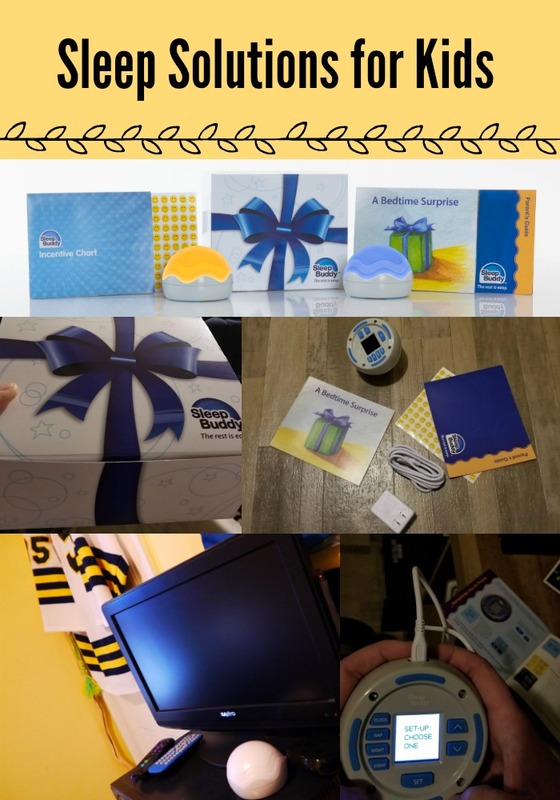 It comes with a reward chart (compete with stickers) and suggestions on what to do if they are not adhering to the devices set times! Look, I know there is no MAGICAL device to get your kid to bed. Heck, there is no SLEEP-IN please device either! 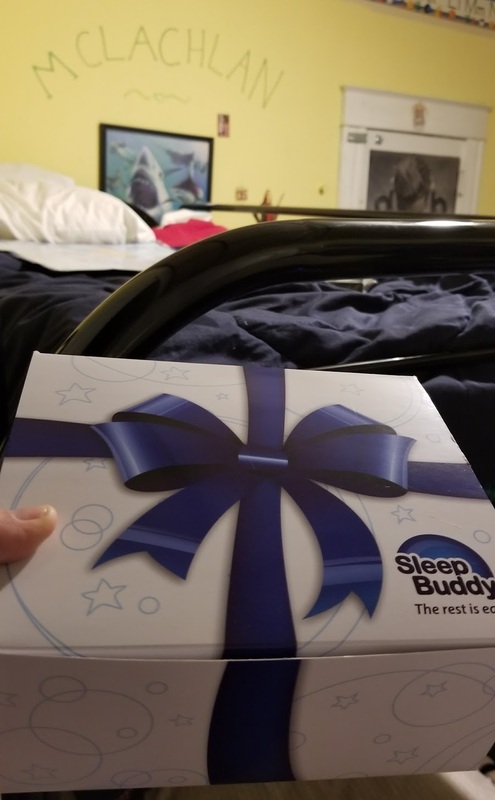 I can say though we are extremely happy with the sleep buddy and truly recommend it if you are in the market (We all know I can be a bit blunt with reviews so I hope you know just how serious I am with that last sentence)! The best part about this device aside form the obvious one's I just pointed out. It is small, easy to setup and fits just about anywhere. We decided it would go on his TV shelf so he can see the light from his bed. Do you have a child who will not go to bed? Or an early riser?? What have you tried to get them settled done for sleep or nap time?? Yes I do have all of the above!!! Does this work for three-year-olds?! Really curious to know lol hahaha. I have a "wake up in the middle of the night and go to mama's bed," but I just remind myself they are only little once! The sleep buddy looks like a great device, and it's nice it has suggestions for using if things don't go as planned. Pinning! My kids all do the same thing as Kristins! They wake up in the middle of the night and jump into my bed!